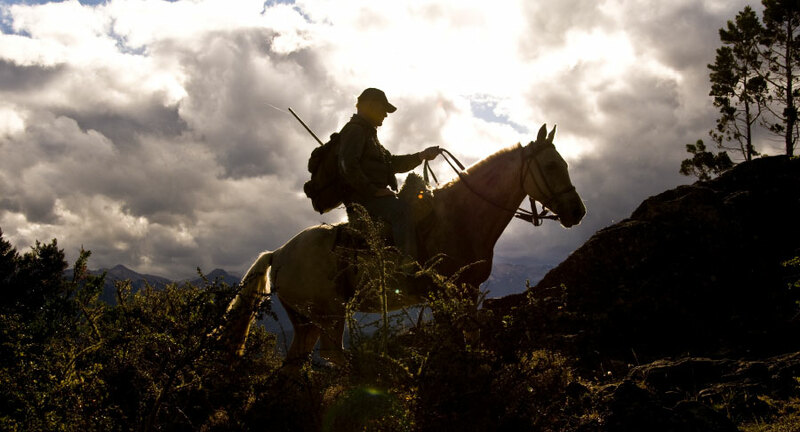 We hunt twice a day, driving, riding horses, or walking from the lodge to the different spots from where we stalk. 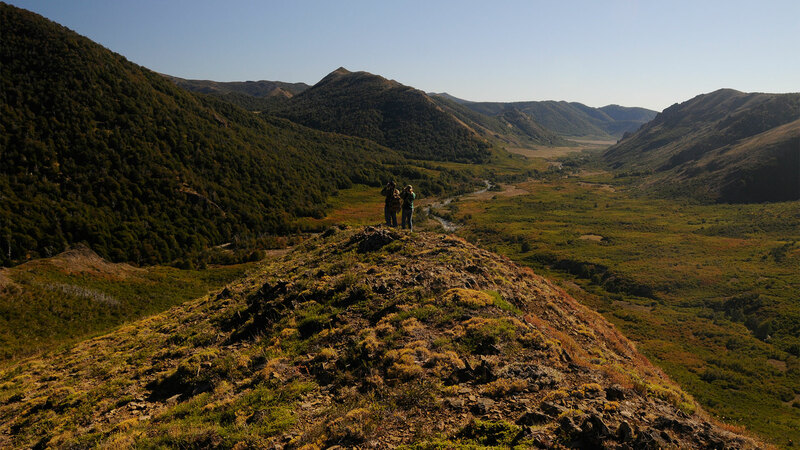 This is real stalk hunting and the terrain allows you to spot the animals from far away, and begin to stalk. 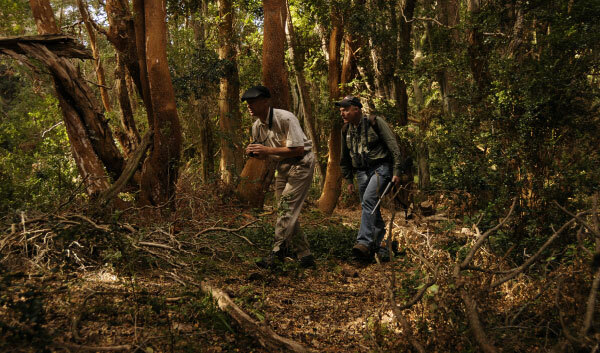 Some areas of the property require that you be in good physical shape to hunt successfully. Others areas are relative easy walking. The hunter must be ready to take shots from 50 to 200 yards. Every hunter has a guide. 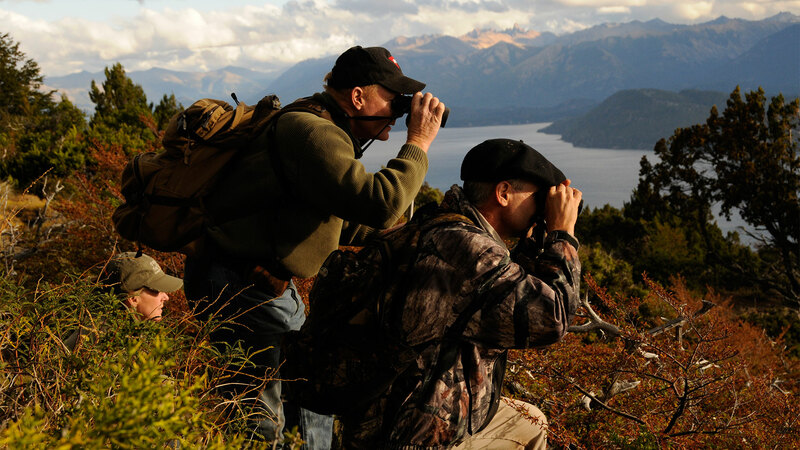 After judging the trophy, the guide will determine if it is a shootable animal. It is important that you know that we do not allow lesser/young animals to be taken. Red Stag (Cervus Elaphus) and Wild Boar occasionally. 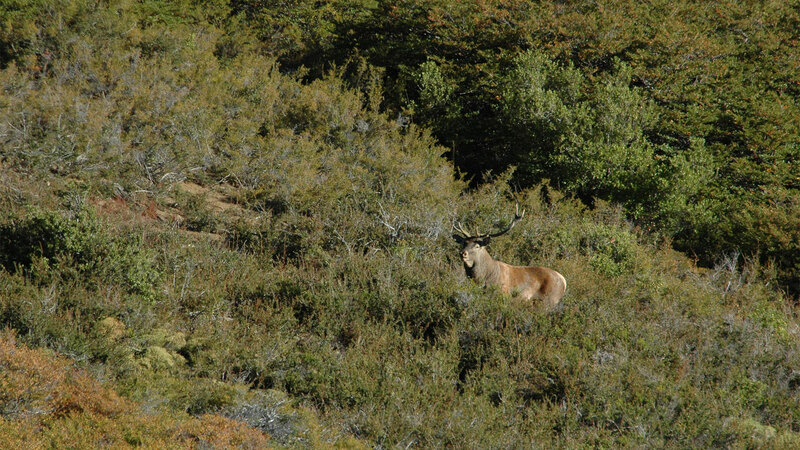 The rut is in March and April and the lodge remains open both months. 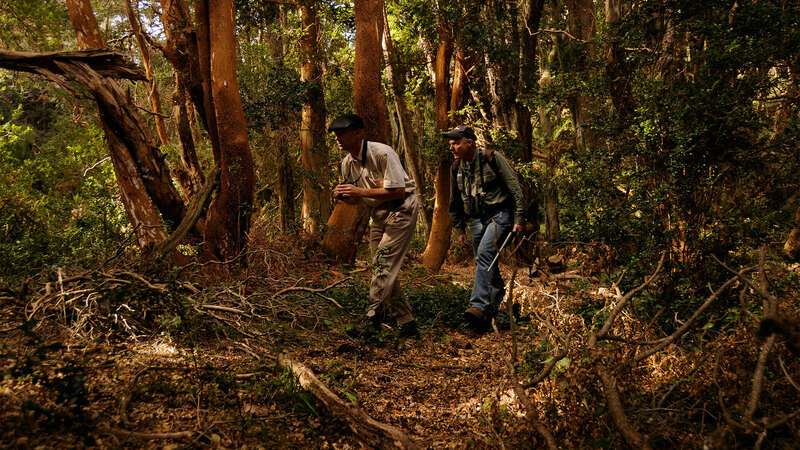 At the camp, we open from March 10 to 30, using the highest rutting weeks due to the challenge of the hunt. That way the chances of reaching the bigger bulls, by hearing them are higher. 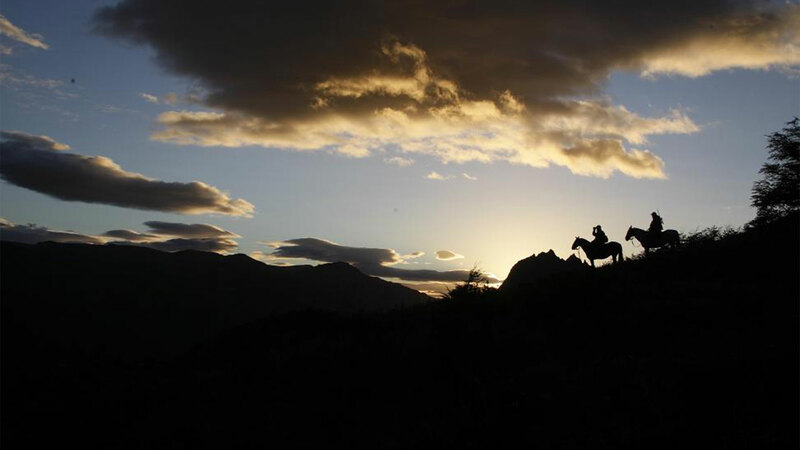 The Ñirihuao is a super comfortable tented camp located 30 minutes from the local airport and produces magnificent red stag trophies. 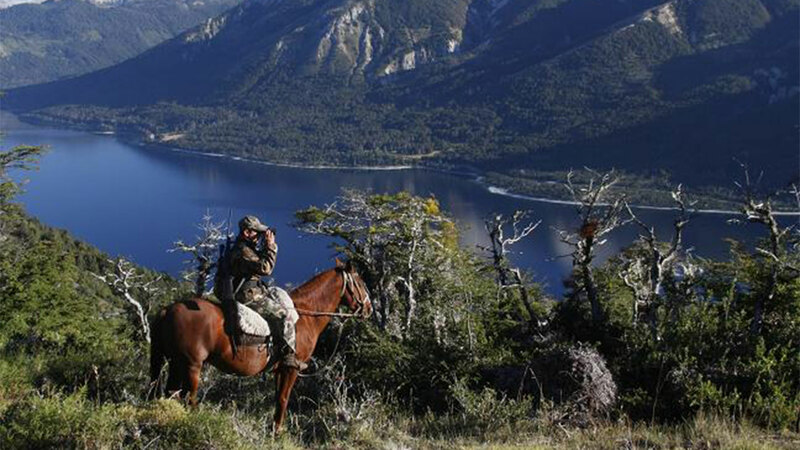 "El Colegio" lodge, is located in a peninsula, surrounded by a beautiful lake immersed in the most lovely area of Patagonia, with over 8000 acres of woods, mountains and small valleys. Temperatures running from 40° to 70°F. Cold early in the morning. Warming up in the day. Some rainy days. Strong winds are frequent. Early morning arrival in Buenos Aires. Our host will greet you and provide assistance to clear gun papers as required. Transportation will be provided to the domestic airport. Van transportation provided from the airport to the lodge. 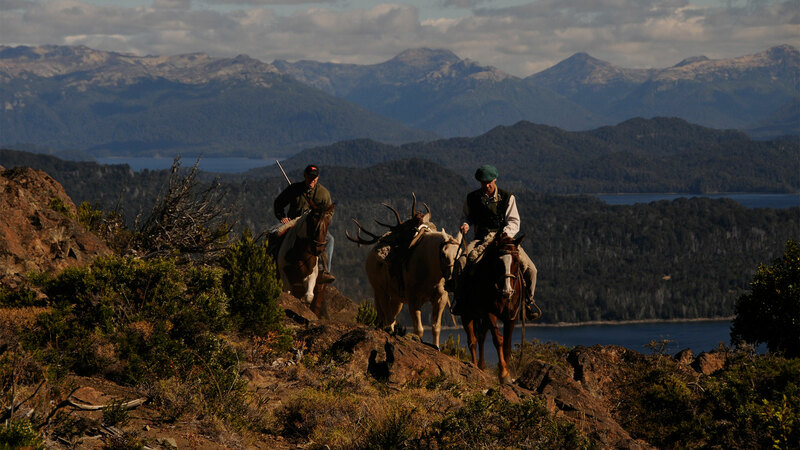 Enjoy ½ day of red stag hunting. 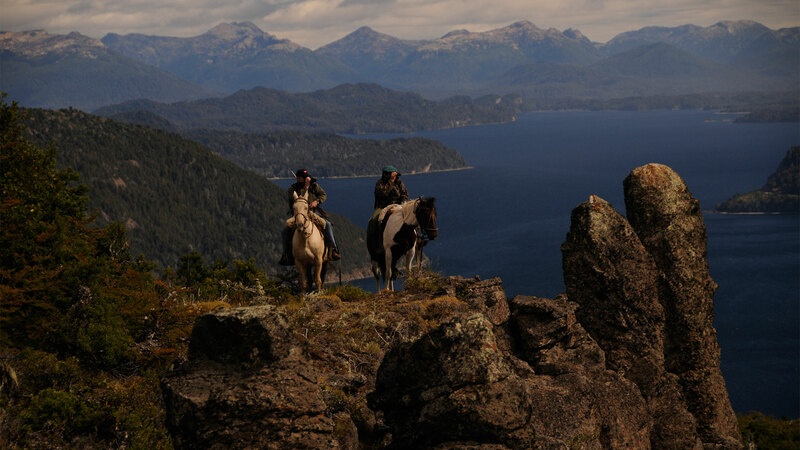 Transportation provided to the airport in Bariloche. Commercial flight from Bariloche to Buenos Aires. Host will greet you upon arrival at the domestic airport in Buenos Aires. Transportation will be provided to the International airport for evening flight back. All ground transportation as required by itinerary. Bilingual host provided from arrival into Buenos Aires trough departure back. 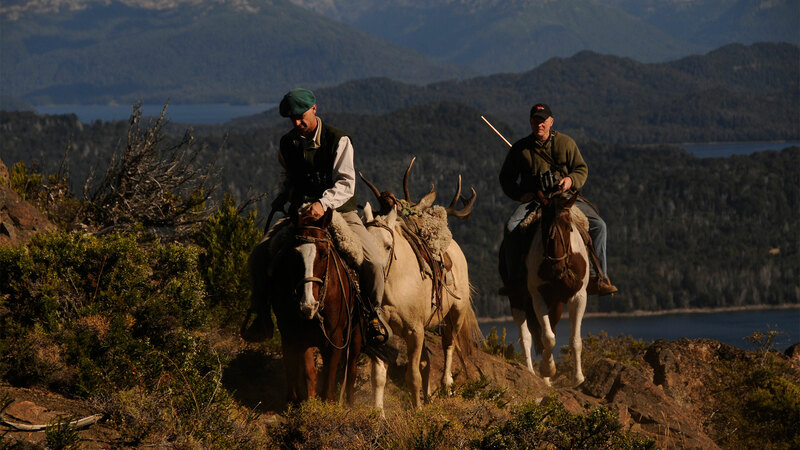 6 full days of stag hunting. 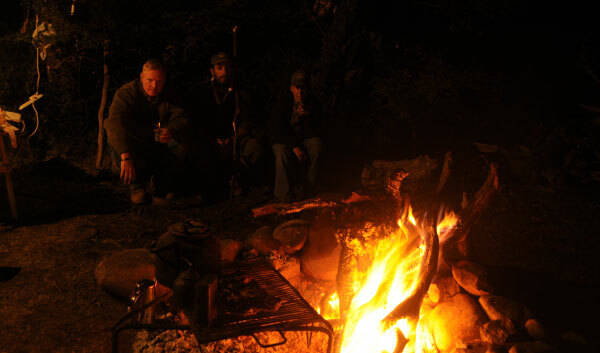 6 overnights in private lodge. First care of the trophy. Trophy freight back to home country. Transfers, tours or extensions of the trip of any kind. Camouflage clothing. Not orange jacket required.